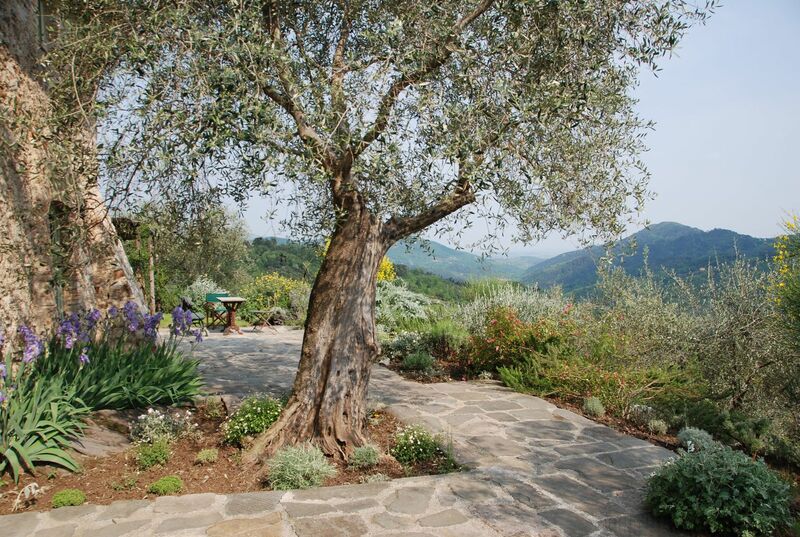 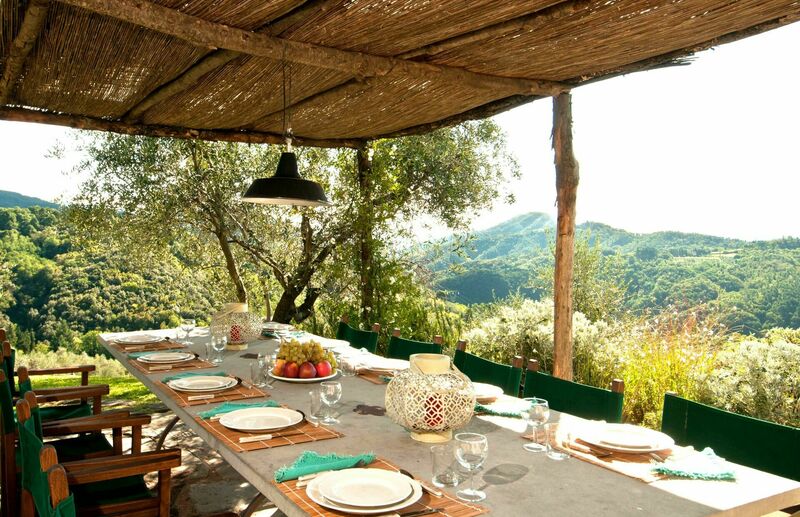 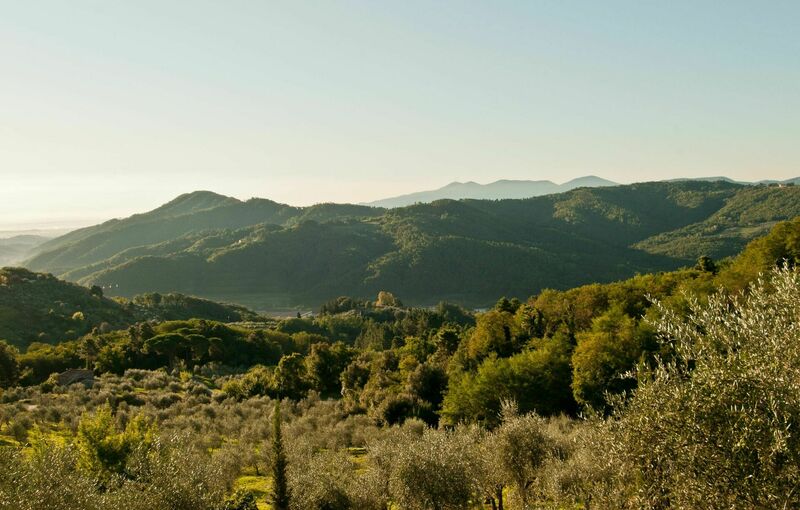 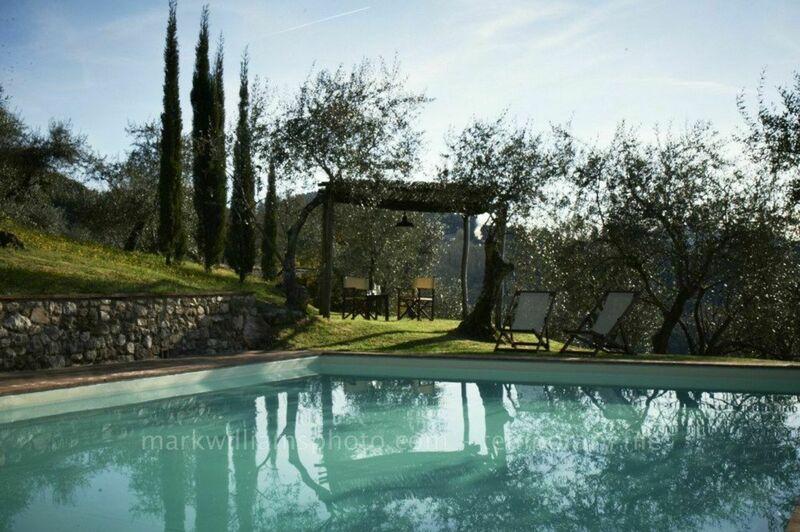 This very attractive villa in Tuscany with private pool is located in an exceptionally panoramic position among olive groves, in the hills between the medieval city of Lucca and the Versilia coast. 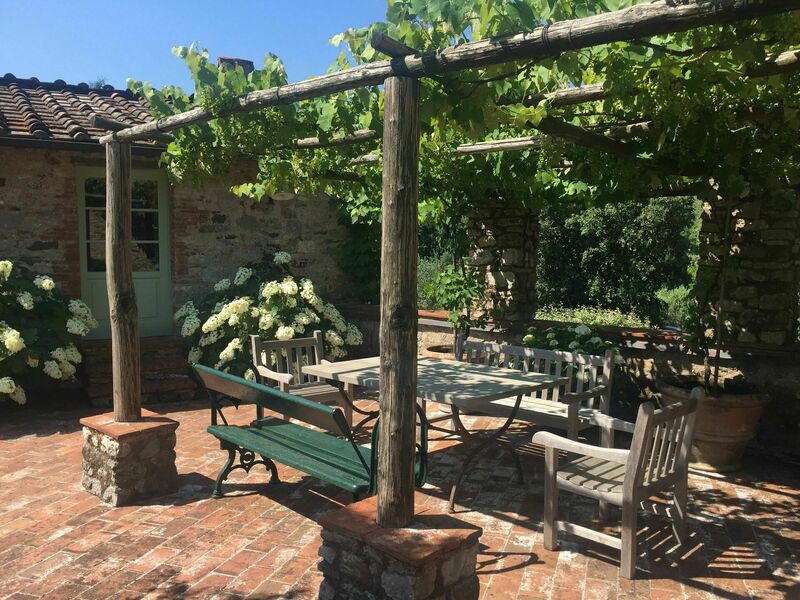 The very well groomed garden and terraces offer the guests many lovely corners where they can sit outside and enjoy the views of the countryside. 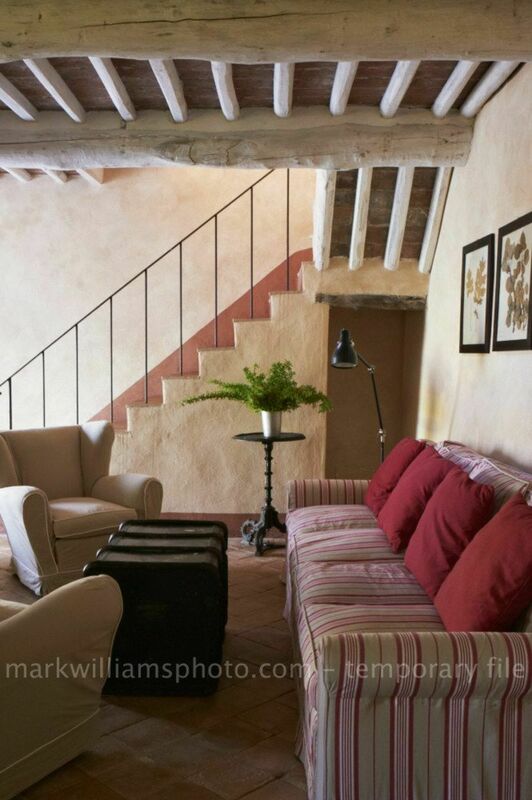 The house was meticulously restored from what were formerly an olive mill and a barn, now connected by a large entrance hall and terrace. 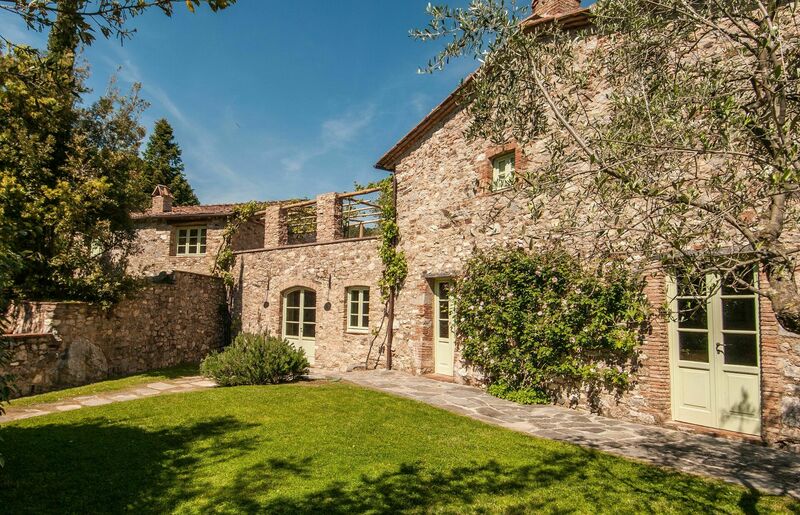 The result is an impressive stone-built building. 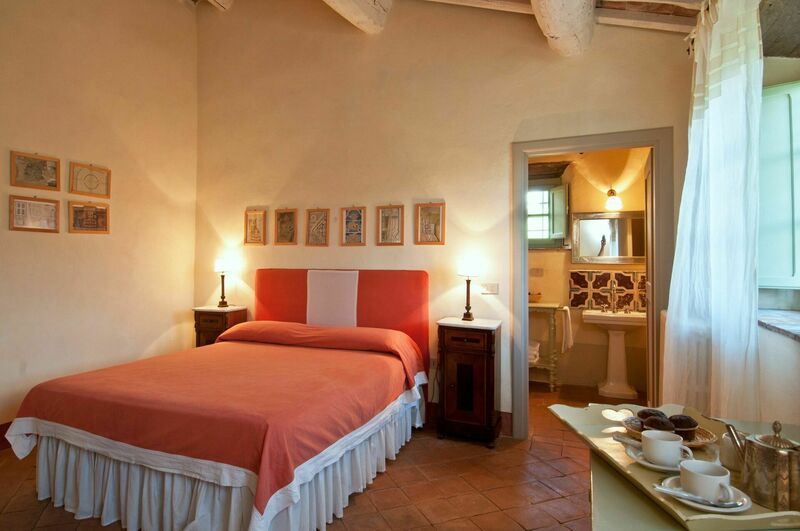 Attention has been given to using exclusively traditional materials as well as to modern comforts such as the well-equipped kitchen, Wi-Fi connection, ceiling fans in every room to make this Tuscan villa comfortable even during the hottest days of summer (together with the efficient insulation of the building), and the large service room with washer and dryer available for guest use. 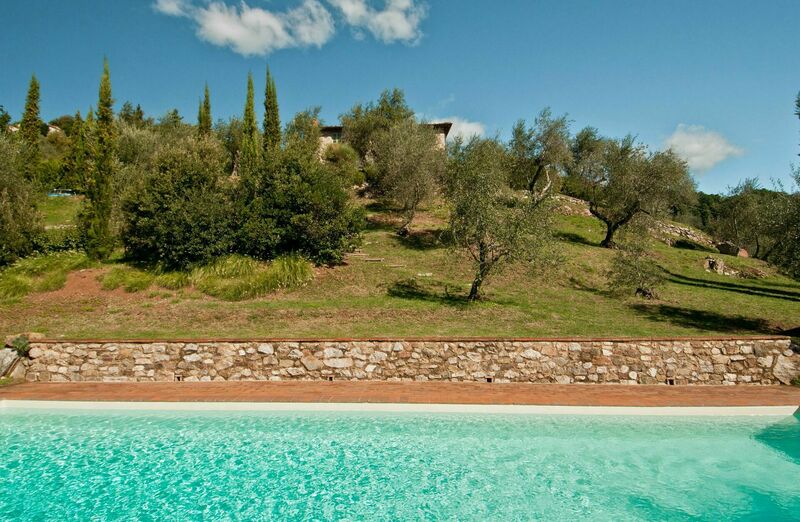 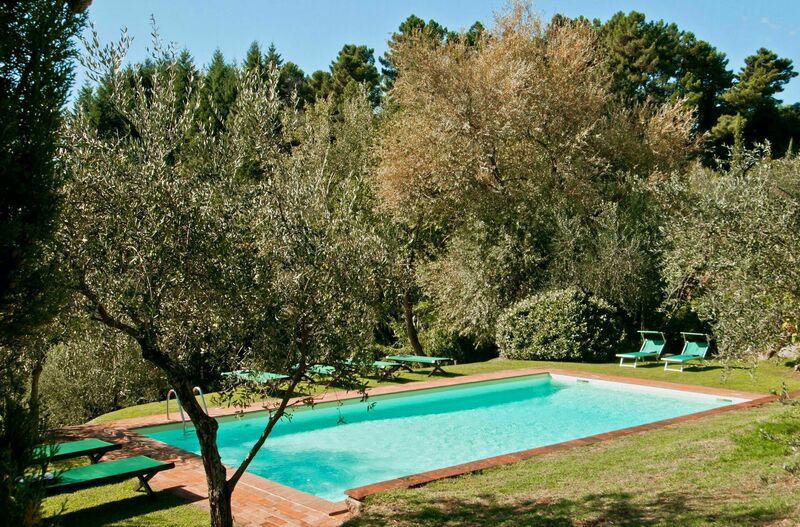 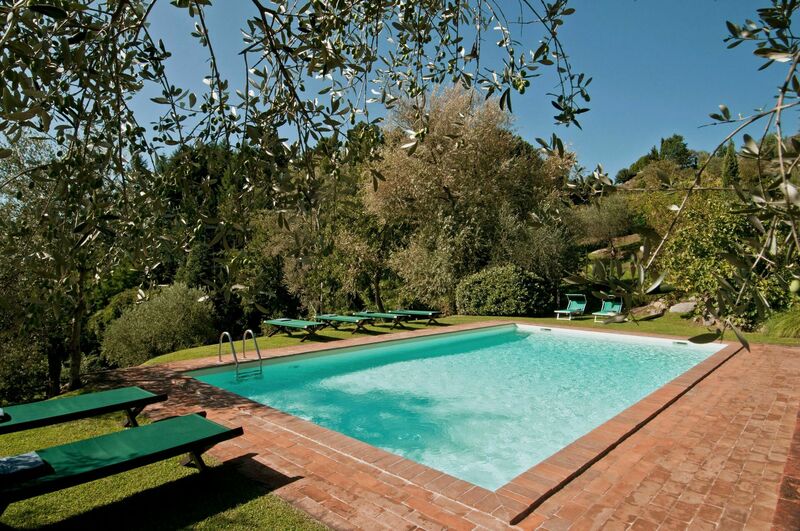 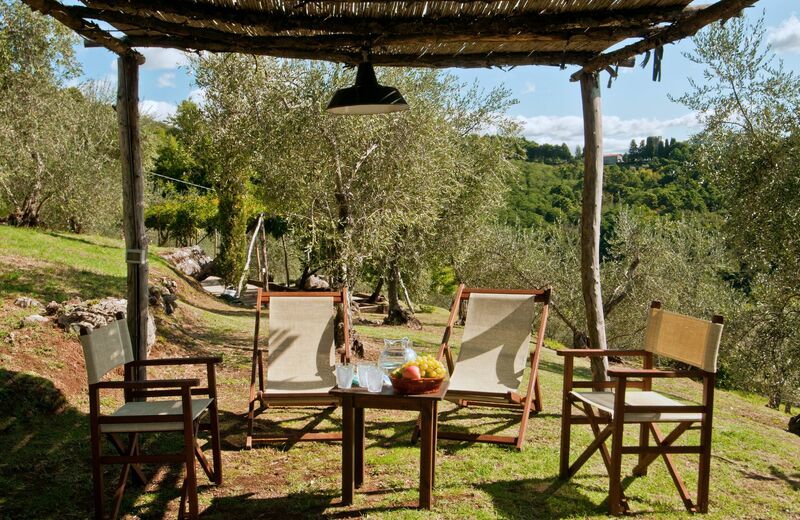 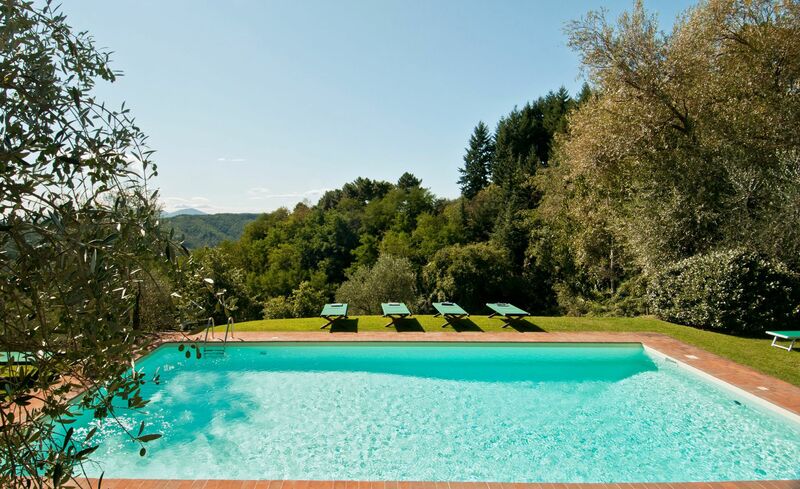 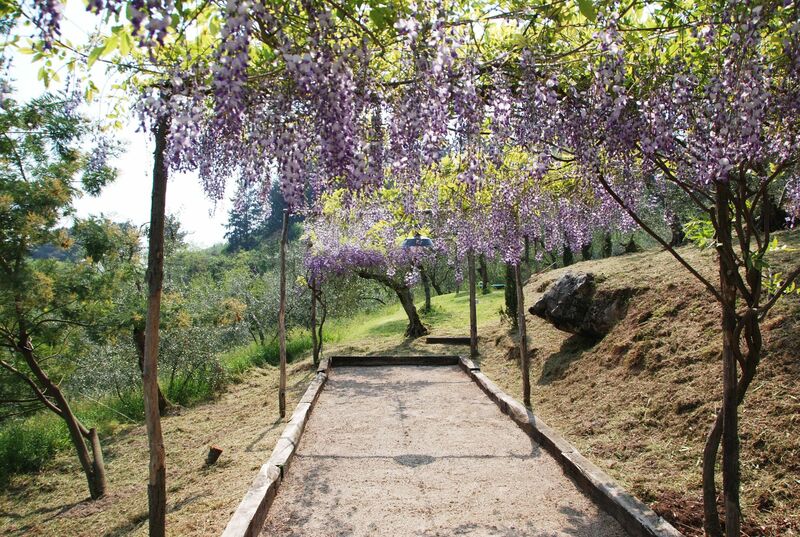 Furthermore, the swimming pool has a salted water filter system which avoid the use of chlorine – ideal for those looking to relax by the pool area, swim and enjoy the incredible views over the valley of Lucca. 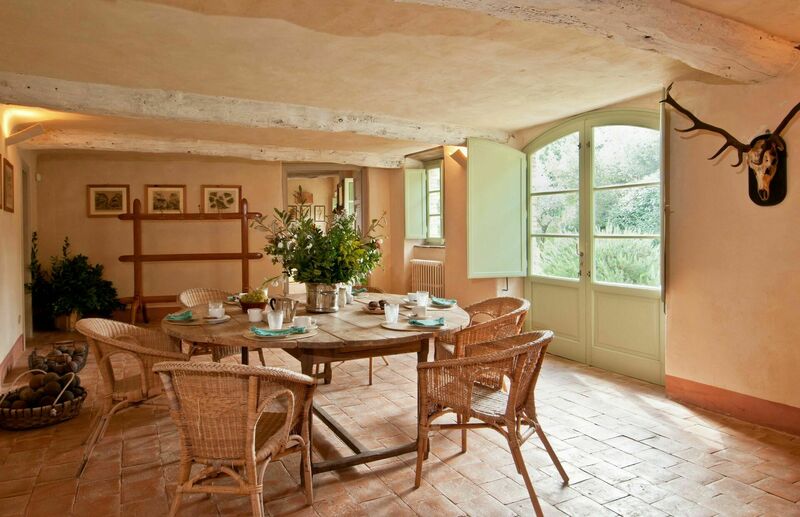 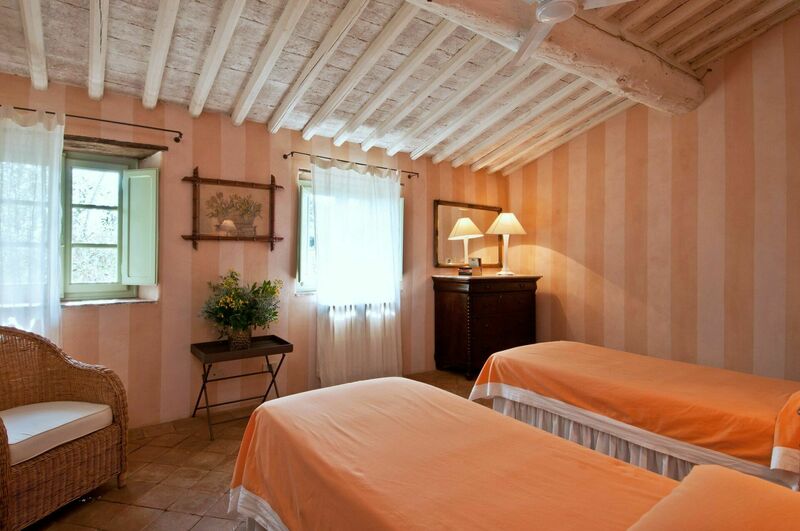 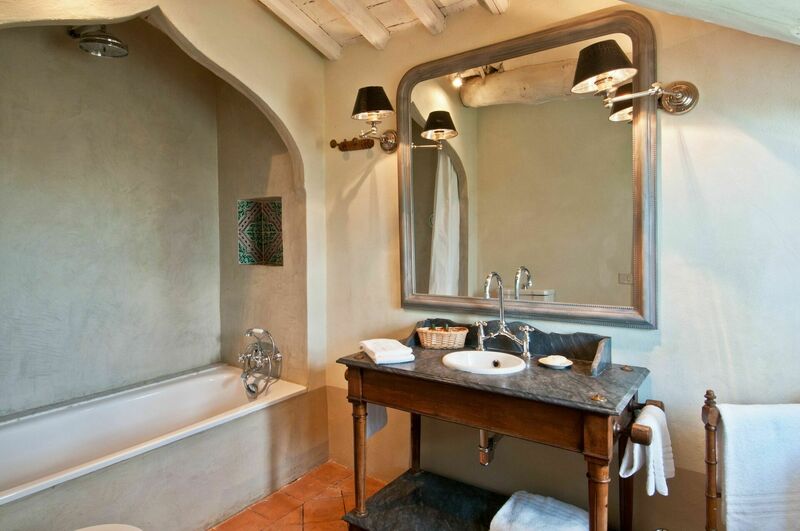 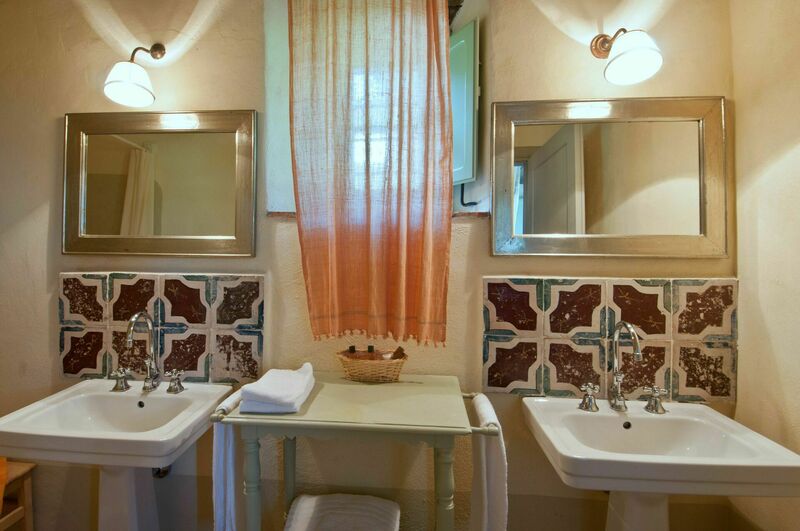 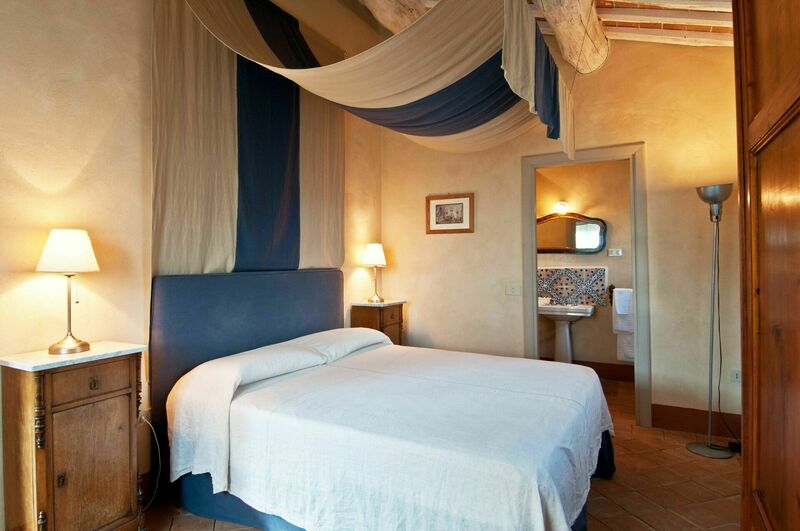 The interiors have been tastefully furnished with great care in a country yet elegant style. 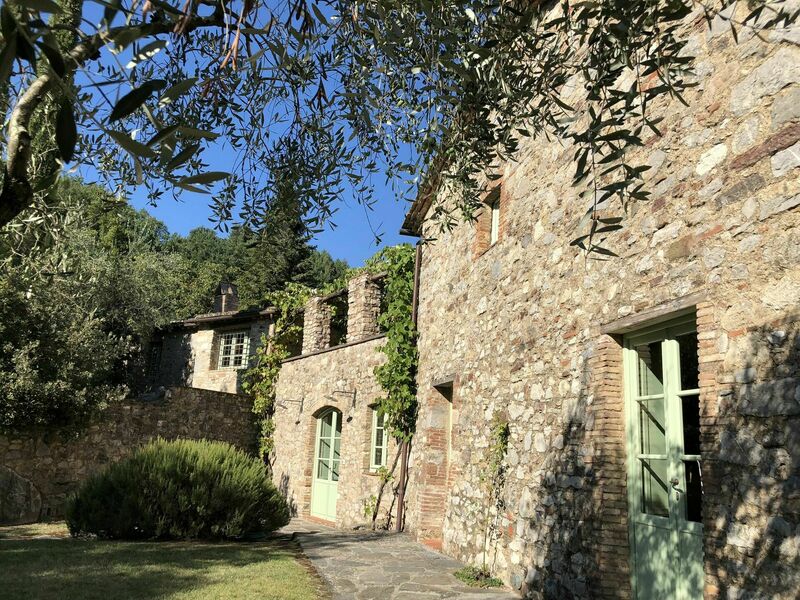 The structure of the villa makes it ideal for groups of friends looking to spend their holiday in Tuscany together while retaining their own privacy as the house is divided into two different areas and every bedroom has its own en-suite bathroom . 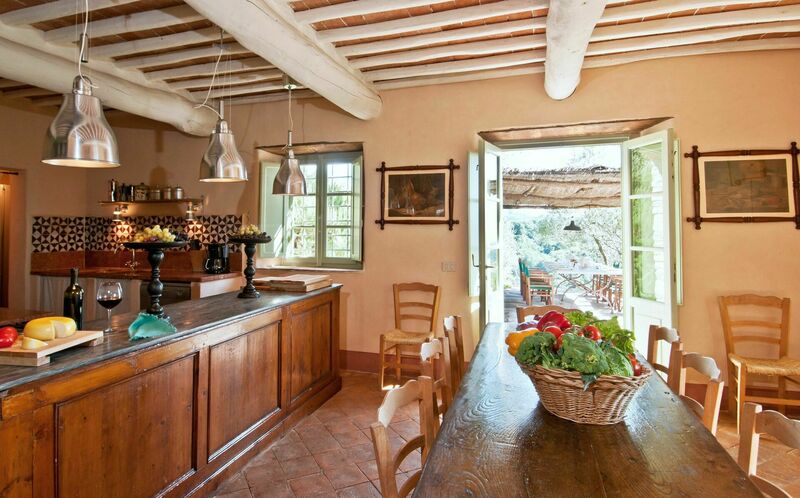 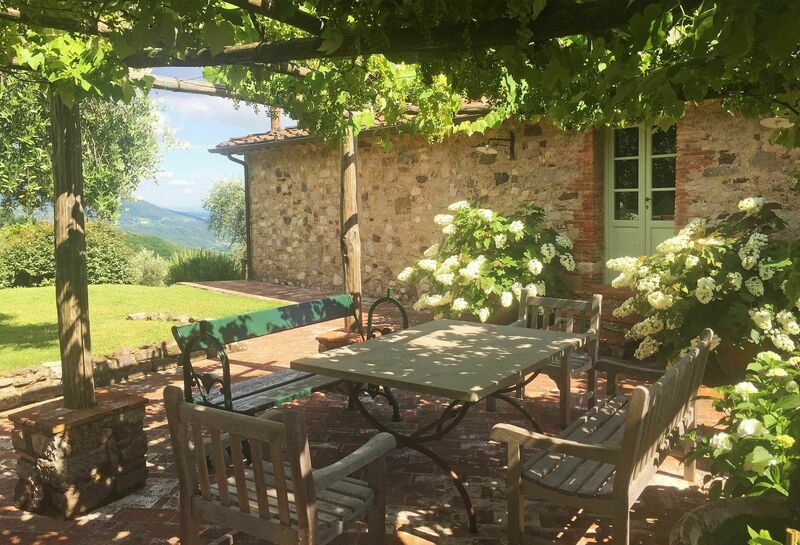 This Italian farmhouse is ideally located for those looking to relax in the countryside as well as being able to visit Tuscany and its attractions. 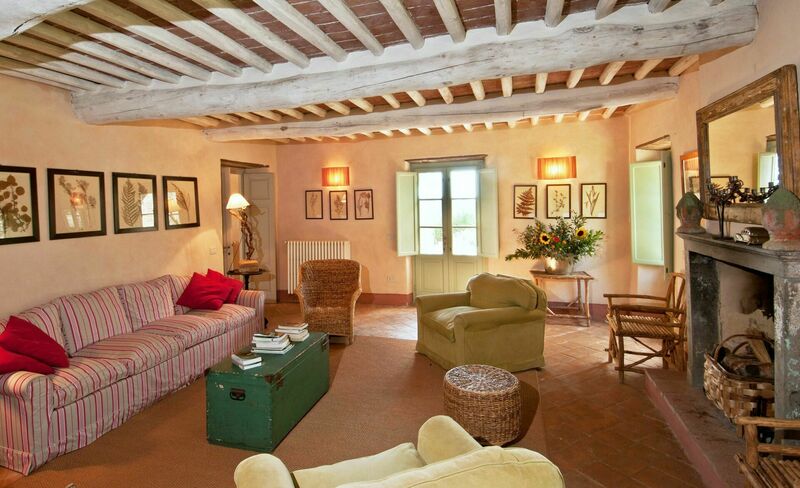 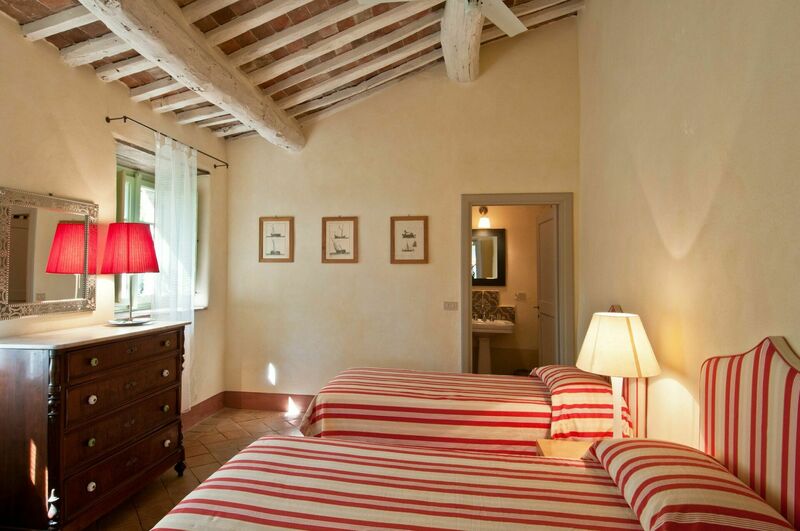 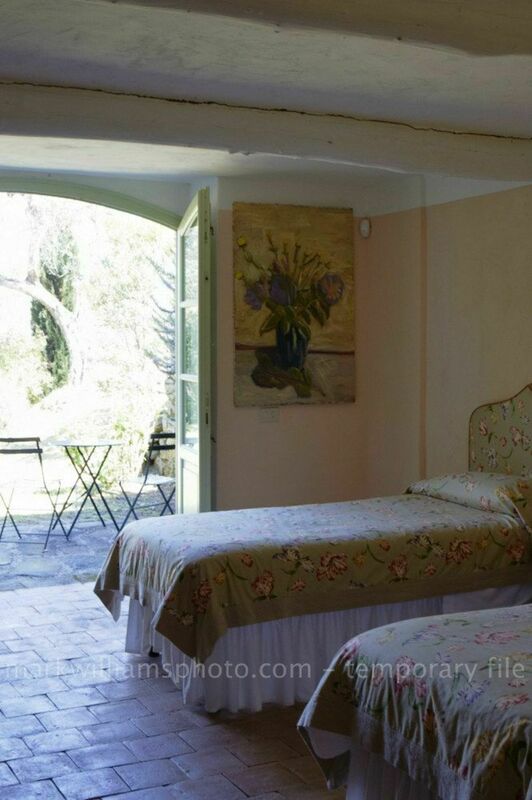 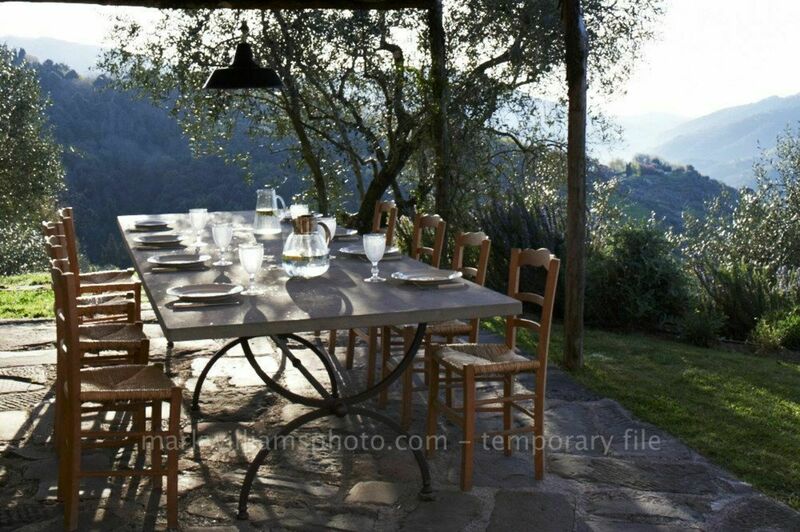 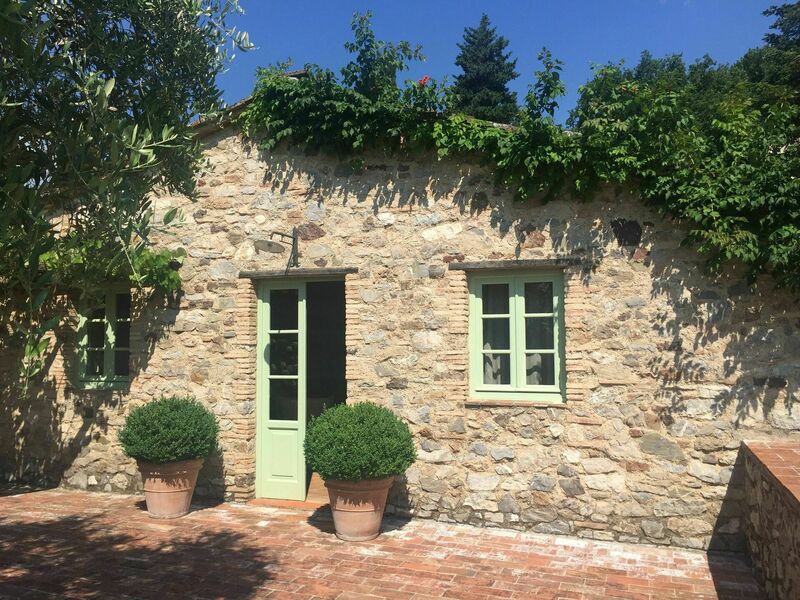 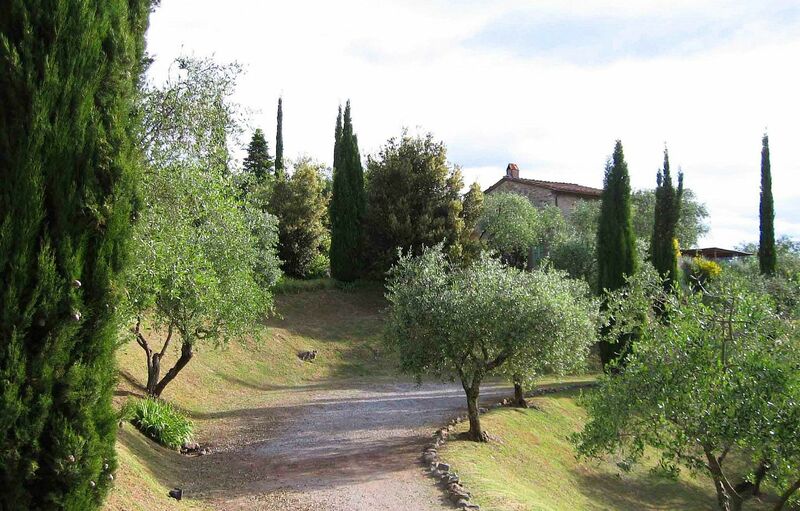 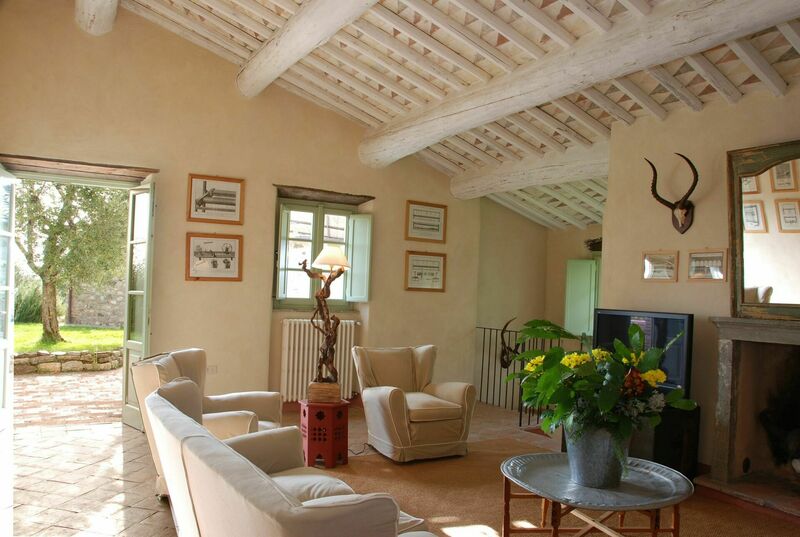 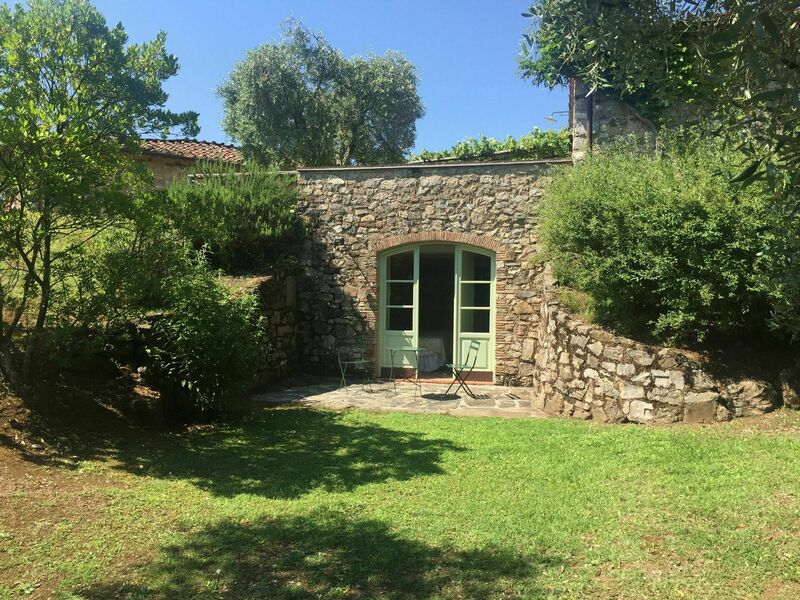 There is a small country village 5 minute away from this beautiful farmhouse, ideal to food shops, grab an ice-cream or an International newspaper while at a short drive, clients can reach the beautiful walled city of Lucca, artsy town of Pietrasanta or the coastal resorts in Viareggio and Forte dei Marmi. 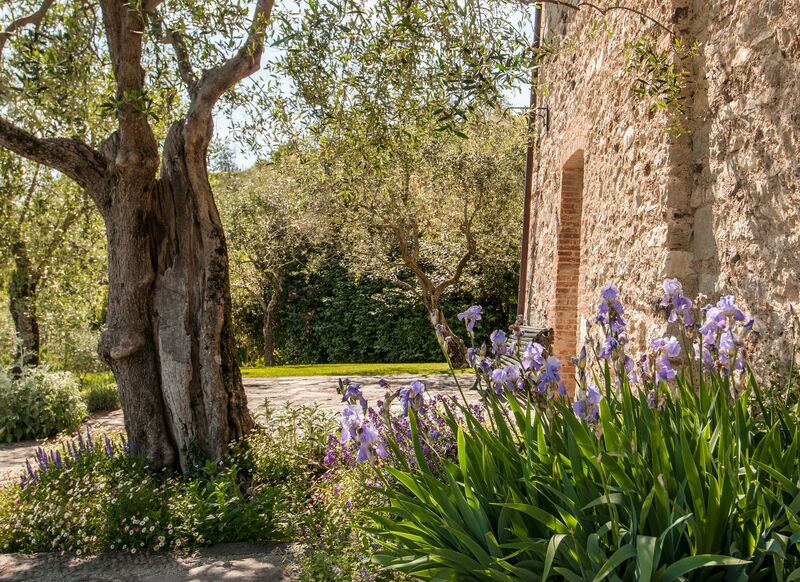 Furthermore, there is an extensive list of day trips that clients can do when staying at the villa; from visiting the magnificent monuments in Florence, to enjoy some wine in one of the most renowned wineries in Tuscany or enjoying the wild and unspoiled nature in the Southern part of Tuscany, Maremma. 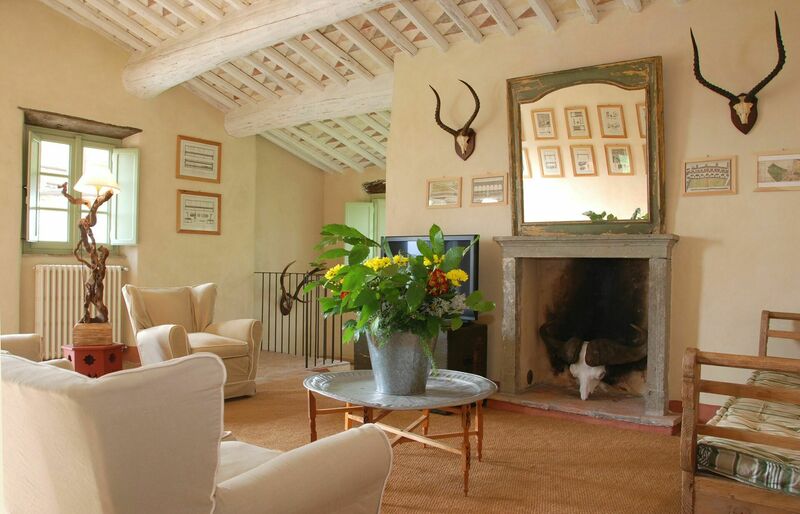 Entrance hall; sitting room with fireplace with french windows opening on to the terrace and garden; large kitchen/dining room opening on to terrace with pergola furnished for al fresco dining; guest-bathroom; twin bedroom opening onto garden with en-suite bathroom (shower). 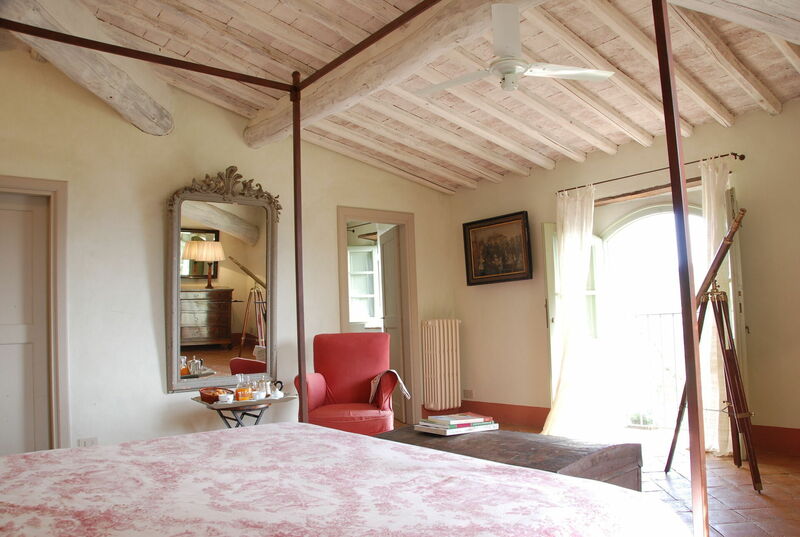 Master bedroom with en-suite bathroom (bath with shower) and walk-in wardrobe; twin bedroom with en-suite bathroom (shower); sitting room with fireplace opening on to terrace with pergola; two double bedrooms both with en-suite bathroom (bath with shower); twin bedroom with en-suite bathroom (shower).